CRISIS IS AN ONLINE MAGAZINE COMPILED BY Tony Jasper. Material is welcome but there is no payment, just the dubious thrill of contributing. Contact : tony.jasper@btinternet.com. Copy and reviews of art projects especially welcome..
BOWIE DIES. ROCK FANS MOURN THEIR REBEL AND HERO. January 14 The Daily Mirror claims it has an exclusive story. So in a few words the front page of the Daily Mirror, January 14. 2016. stuns fans and associates. Did Bowie have a religious strain to his thinking? Your man at CRISIS says a yes, well-sort of. David Bowie is present. The month is April, and the year 1992. The event sees 70 countries around the world transmit the ‘Freddie Mercury Tribute Concert for Aids Awareness’. The venue is at London’s Wembley Stadium – scene of the famous 1985 Live Aid happening. 72.000 come to celebrate the life of the extraordinary vocalist and who sadly has become the first rock superstar to die of Aids. An emotional Queen member Brian May asks the crowd to give Mercury the biggest send-off in history. The greats of rock are present. They pay verbal and musical respects. Show-biz music star Lisa Minnelli fronts 98 singers and instrumentalists as everyone sings “We Are the Champions.” Film star Elizabeth Taylor speaks about the dangers of Aids. But there is a sudden and total unexpected moment – rock legend David Bowie kneels and gains gradual hush as he recites the Lord’s Prayer. He is not some 25 years or more later attempting to emulate Cliff Richard, for the British star before thousands at London’s Earls Court had announced he was a Christian. While the one-time Harry Webb talked his talk before thousands of Christians, and a platform with American super evangelist of the time Billy Graham, few “out there” hearing Bowie’s unexpected prayer moment could boast little if any Christian understanding. Not many realise that Bowie is under considerable life stress, not merely from obvious sadness over the passing of the openly bisexual Mercury. At the concert he sings his own hit ‘Heroes’ and for the first time since 1973 he is backed by the legendary renowned Mick Ronson. He is aware that guitarist original Spider man Ronson is dying from liver cancer. (he dies in 2013). biblical character, although it might be thought so, initially, since it opens with the line “Look up here, I’ m in heaven”/. Some would say it’s Bowie’s message to fans, for just three days before his passing a` video of the song, available as a single, shows the singer trapped in a hospital bed, his forehead and eyes covered in bandages, with body shaking. It seems he has known for over a year that his cancer is incurable and his producer would have us accept that Bowie has made his death – as his life – “a work of art. Some would say Bowie’s creation vision mocks Christianity. Erica Chase is quoted saying “Religion circles the great unknown, what is the purpose of this life and hat happens after. Bowie and Gaga are just as uncertain as you and I about all that.” Through many of his songs, especially early material, there is sense of the apocalypse, mayhem and death. been heard, although I would not have banked on it. 1 What is his actual full name? 2 Year of his birth. 3 Name the first group he formed. 4 His first TV appearance was with the Mannish Boys. What aspect of Bowie n early caused the spot to be cancelled. 5 Later Bowie and the Lower Third sign to Pye. He is forced to change his name. Why? 6 Name his first single. 7 He plays a regular Sunday spot at which famous London venue? 8 Rubber Band is a first single for another her record company. Name the company. 9 He will find himself on the ~BBC, Top Gear programme. ~I He meets a producer who will b e so influential in the future. Who s this? 10 Name the company that turns down Bolwie..11 11 On the Philip label he has his first single hit. Name it. 12 Who is the memorable character in this first hit. 13 Name the song he wrote for Angie. 14 He goes to the US and eyebrows are raised at what he wears. What causes the uproar? 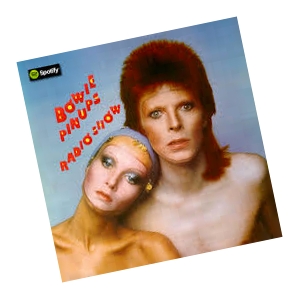 15 Bowie’s song Oh You Pretty Thing gives a British artist a hart hit. Who was this? 16 What is the musical that bows in June 1972? 17 In 1972 he has first US single hit. Title? 18 Along with Mick Ronson he produces a wonderful single for Lou Reed. Name it. 19 Name the planet in a hit of 1973. 20 Pin Ups has which model on its sleeve? PATSY CLINE – CRAZY. Down at Sainsburys lotsa of re-issues, either in single or b ox set form and many for £5 or less. Cannot resist old gems for even just £2. JAMES BAY Chaos and the Calm.. This young guy is very much the flavour of the month. It’s OK but unsure about all the excitement. Guess I’m sold on her, even if this album is not too far from the last in so many avenues of sound. Play it after 11 p.m.
JOOLS HOLLAND & RUBY and the Rhythm & Blues Orchestra. Has its moments like the show. Ruby remains one of UK’s underestimated singers. THE CORRS- White Light. Well, I love her! And the whole band are one of the nest. Some catchy songs. Moves seamlessly and well, Andrea – call any time. GARETH MURPHY – Cowboys and Indies – The Epic Story of the Record Industry. Missed this gem until recent. He draws on more than a 100 interviews and tells stories to open your eyes – a little anyway. One of the best commentaries around on music land. GREGORY D COLEMAN We’re Heaven Bound. ~OK I’m yonks behind in finding and reading this portrait of a sacred black drama. Still glad I’ve found it. JOHN GLATT – The Chieftains. Yea, I’m catching up, badly so. Heck this came on toward the end of the 1990’s. Case of trawling book shops and this I picked up for a pound at you know where. Fantastic Irish group of course. Interesting book. BENAMIN T.LYNERD – Republican Theology. Oh well, tasty morsels of US horrors as we journey through an account of the hybrid position the more conservative US religious groups have long affected to hold in American culture..
5 The Monkees had a member called Davey Jones. 6 Do Anything You Say. He was never a political elitist in gay right causes, but he did more than most to advance them by being who he was. And the cause was just. The columnist who asked:” Why can’t the Church be more like David Bowie?” had a point. Editorial. The Tablet. Inspired Gaiety of David Bowie, January 16, p 2. The Tablet’s editorial has especial focus on the ‘gay’ question and points out that a number of celebrities played a key role in breaking down prejudice against homosexuality. So it becomes uncool to mind whether singers such as George Michael Freddie Mercury were or were not gay. Stage and television celebrities such as Stephen Fry, Graham Norton and Clare Balding spread the same message. They were exceptionally talented and likeable human beings. A few days after his passing a British tabloid claims it has an exclusive story. Front page, Daily Mirror, January 14. 2016.
best record ever made, but simply because it spoke perfectly of its time. Bowie achieves a publicity scoop, albeit in these sad circumstances, as he appears on the front cover of the New Statesman (15-21 January) and Time (January 25). But as I somewhat tonelessly belt out the words “Hot tramp, I love you so’ I think to myself “Isn’t that a bit like Jesus.? Because after Jesus had been in the wilderness for a while, he must have looked a bit like tramp. “ I suppose so. His vicar appears on the BBC’s Thought for the Day saying “I often find myself singing along to ‘Rebel Rebel;’. Good for him. 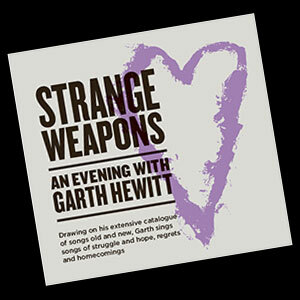 Someone asked me the other day why I’m calling the tour this year Strange Weapons, and I must be honest, it is a strange title! But it comes from a song on the Scars album where the lyrics talk about strange weapons of love. The song was written during apartheid time in South Africa after I saw on television a demonstration which was happening outside St George’s Cathedral in Cape Town. It was led by religious leaders - Archbishop Tutu was there, with many other church leaders. I noticed priests and also nuns. The demonstration was broken up violently by the police, and the people sought sanctuary inside the cathedral. I got to thinking about the nature of this protest. I had seen priests carrying Bibles and I felt sure the nuns were people of prayer and I thought, these are the weapons of this demonstration - very strange weapons. But they bring an authority, a dignity and a prophetic challenge that made the armed violence of the police look undignified and oddly weak. In the next verse of the song I go on to think about the death of Christ. The image about Christ taking his strange revenge was sparked off by Salman Rushdie’s book The Jaguar Smile - his book about Nicaragua. It was the time when the Sandinistas had just won their freedom; Thomás Borge, one of the Sandinistas, had been imprisoned and tortured under the dictator Somoza’s regime. Rushdie tells the story of how after the revolution Borge meets his torturer on the street and he takes his revenge... by forgiving him. It’s a very moving and extraordinary image so I wanted to use that same idea thinking about the death of Christ. Then also the gifts that we are given in the Eucharist to strengthen and inspire us, I talk about these as weapons of love. An incident happened to me a couple of months back where I was reminded of the power of these weapons of love. At the church where Gill and I go we have links with some asylum seekers from Uganda - seeking asylum because they are gay and lesbian. One has become a particular friend. One Sunday before the service he was telling me about being on a demonstration the night before at Yarl's Wood Detention Centre with the Movement for Justice for Asylum Seekers and the police had moved them back from Yarl's Wood because of the reaction within the detention centre which was always so enthusiastic when the demonstrators came - but even though the demo was far back, the women in the centre could hear them and they began to simply chant "Freedom, freedom..." over and over again. I was very struck by the thought that, not far from where we live, people are imprisoned simply because they have come here seeking asylum and expecting justice. Why do we lock them away? And I was upset as month after month our friend was waiting to get his visa. Although he was not imprisoned he had been given a little card that said “forbidden to work” so how is he meant to survive? This had gone on for three years. Our friend has been both a server and a crucifer in the church but this Sunday as I knelt at the rail I suddenly saw him approaching and smiling, and offering me the wine. He hadn’t done that before and I was so moved - we in Britain had said no to him in so many ways which tell people they are unwelcome and valued less, and yet here he was offering me the most precious thing there could be - the blood of Christ. I had to go away and pause for a moment in the side chapel as I was overwhelmed - and I discovered a bit later that the same thing had happened to Gill. I think there we felt the power of the weapons of love. The strange values of our upside down world which denies people their dignity can be affirmed and turned round with these weapons of love. And so we draw our strength from the wounded God we find beside us in these times, and perhaps it’s good to be reminded early in the year of how valuable it is to take time to be quiet and to draw our strength and our hope from Jesus of the Scars. And not a god has wounds but you alone.